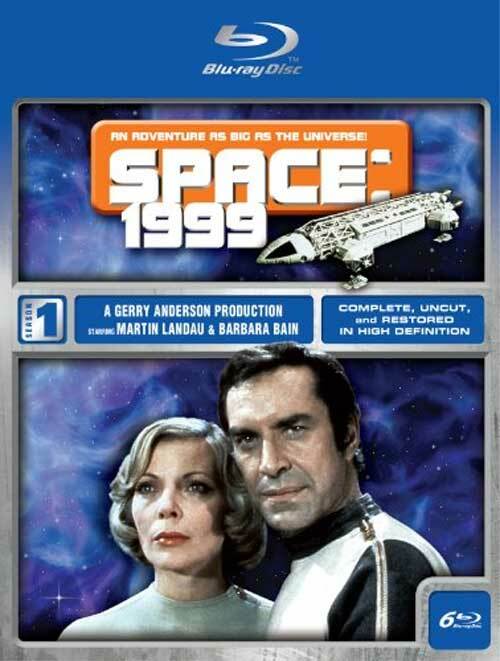 From TVShows on DVD: Following their very well-received The Prisoner Blu-ray release last fall, A&E Home Video is preparing a high-def Blu-ray Disc version of Space: 1999 - Season 1. Amazon.com is taking pre-orders now...for a 6-disc set that the box cover describes as "complete, uncut and restored in high definition". Awesome! Too bad it'll be 4:3, but at least it won't suffer from the mismatched SD-effects/HD-live-action problem that Babylon 5 did. And I'll bet Brian Johnson's FX will *still* look great in HD! I have been waiting for this! This is exciting. These must include the UK digitally remastered versions I should think. I am over the moon John. Thanks. To upgrade or not to upgrade?...that is the question. On the wish list it goes. 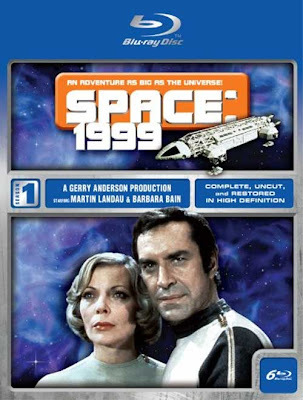 70 bones is a bit rich for my blood for something I've already got (albeit in standard definition), but after it's released and the inevitable "Sci-Fi and/or TV shows on DVD at Amazon" sale happens, it may be too tempting to resist. Such was the case with The Prisoner blu-ray which I picked up for a mere $40 earlier this year. Beyond the fact that this is going to look and sound a LOT better (if the Region 2 set reviews are any indication), to reduce the footprint of this set to 6 discs(!) is worth the price of admission alone : ) And that Prisoner set is fantastic!